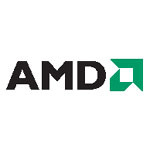 Since Linux Kernel 3.11, the open source AMD Radeon driver got dynamic power management (DPM) feature support. If you have already installed the Kernel 3.11 or higher and have a Radeon HD 2000 (R600) series or newer graphics card, you may wish to enable DPM feature by below steps (DRM will probably be enabled by default in Ubuntu 14.04). 2. If you have Linux Kernel 3.11 or higher installed, now you can enable DPM by adding the radeon.dpm=1 parameter.